How do I login to the AT&T Office@Hand Softphone adapter application? Log in to your Salesforce.com account. 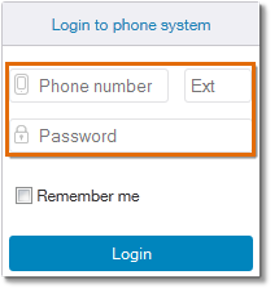 Enter your AT&T Office@Hand login credentials in the corresponding fields. QUICK TIP: Click the “Remember Me” checkbox to login automatically.